Sticking with the printmaking theme this week, here's a little stamp making project I did last night using some old corks that I had saved. 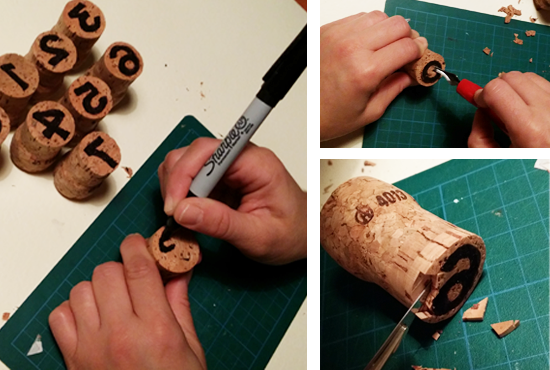 I'll admit carving the cork is a bit fiddly as they are so little and cork can be a bit brittle at times, BUT its almost completely free! Plus if you are not so confident with intricate cutting, some bold shapes will work just as well if not better. These stamps are great for making your own fabrics, wrapping paper, cards etc, or just letting your toddler have a good play around with them. At the moment my daughter's really into her numbers so I thought that was a good theme for trying these stamps out. 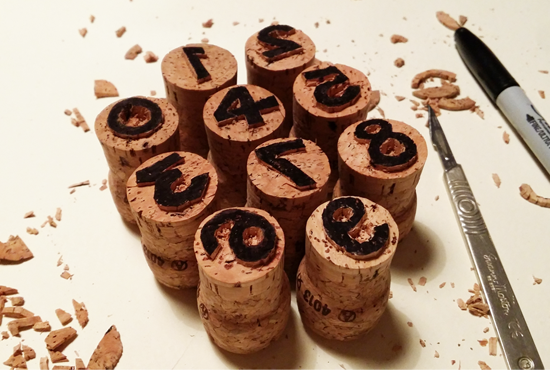 First I drew out the designs on the flat end of the cork with a Sharpie, remembering to draw the image in the reverse of what I wanted to print. I then carefully traced the outlines of the designs with a scalpel. I then sliced from the side of the cork down to the design, and carefully began removing bits of the cork that I didnt want to print. 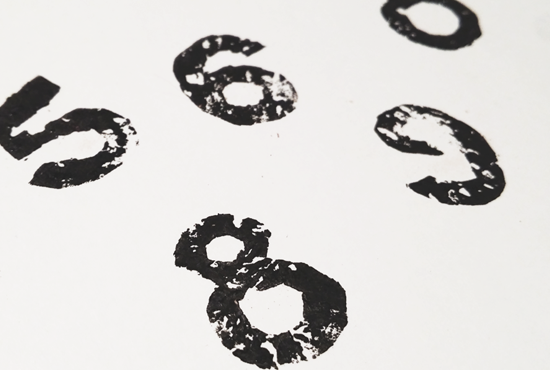 That's basically it - ink them up with your preferred ink/paint and stamp away. Loads of creative possibilities for these stamps!